You should all already know GSuite, Google’s range of professional services which comes bundled as a package. If you don’t know GSuite by that name then perhaps you know it as Google Docs, Google Sheets, Google Drive, etc. This comes first in our list because it delivers the basics that any business is built on. It’s also very affordable and with its incredibly easy cloud-based sharing system it serves as a base from which you can remove paper from your operations. Gmail – You might already have a personal email from Gmail. It’s simple, fast, and reliable. Gmail for your company means that each user can have their own specific email address tied to your domain while using the tools they already know. GDrive – This is your file storage tool where you can have all your Docs, Sheets, Slides, and other files stored for easy access. You can create folders for everyone to work from while also giving staff their own private areas for their work too. The GSuite package provides significantly more storage space than a free user would normally have, and should be enough across the company for pretty much all teams. GDocs – This is your word processor and it’s good. Cleaner and sleeker than its Microsoft competitor, Google Docs gives you a simple interface while providing all the features a team should need. I’m a writer and editor and GDocs is my preferred tool. 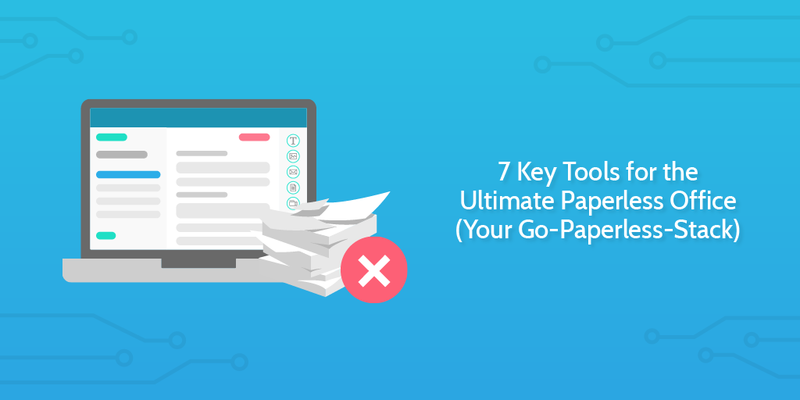 It’s just easy and you can easily share documents over to others for them to review, leave comments or suggestions, or immediately edit themselves. GSheets – Some people might prefer the Excel sheets which they’re used to, but Google Sheets does practically all the same things. With its library of add-ons you can easily supercharge your Google Sheets to perform more complex and niche tasks. Sheets also has a number of unique features. You can use the formulas in Sheets to auto-translate text and other cool tasks which pull information from the web or other Google services for your use within your sheet. I’m a fan. GSlides – Forget Powerpoint. In terms of important features, Google Slides has all the things Powerpoint has. GSlides is also much easier to share with other people. You can publish materials to the web and update them in real time. This is a great tool for anyone who is trying to show off a pitchdeck, or a whole range of other use cases. It works on any machine that has a browser, so no need to panic next time you show up to give a presentation in a new place from a new device. Google Admin – As the administrator of the GSuite account you can manage access and generate new passwords and things for anyone who has forgotten them. You can also see basic metadata for account activity, so you’ll know if Gary has emailed only 5 leads when he tells you he emailed 50. Not cool, Gary. Admin also means that you can import a user’s GDrive into your Drive if someone leaves the organization; making sure work doesn’t get lost. Google Analytics – Probably the best analytics tool on the web, Google Analytics isn’t too hard to learn and is very easy to pull complex data from. If you’re a company with a 20-person data analysis department, maybe this isn’t so important, but for most of us it is really important to be able to measure how our online content is doing and how many website visitors we’re getting, and all the detail of that too. There are loads more elements within the GSuite package, but I’m sure you can see the use value you can get out of it. With GSuite, you’re already most of the way toward figuring out your new paperless office. But there is more than just documents and spreadsheets to consider when running a functioning business! Process Street is a business process management and workflow automation tool which handles your company’s recurring tasks. Or, in layman’s terms, Process Street lets you build templates for your business processes which team members can then run as checklists to make sure they do each and every step of a task correctly the first time around. Your business is only as powerful as the processes which run it. Process Street seeks to give you a single place where all of these processes are stored and enables you to change and optimize these processes rapidly without needing to code. This means that all your checklists, processes, standard operating procedures, work instructions, or whatever name you give them, are handled in a paperless manner. If you want to go paperless, you should take advantage of the added efficiency benefits that being paperless gives you. The ability to rapidly iterate and improve your processes is one of these advantages. It also allows you to scale faster and more effectively than paper would ever be able to manage. What makes Process Street particularly special is that not only does the checklist nature of the software make it super easy for an employee to follow a process and complete it the best way each and every time, but the software has a bunch of advanced features which you can take advantage of. … to create complex workflows which respond dynamically to the information which is entered into them. This can leave you with an automated decision tree of what an employee should do next or who else needs to be involved in the process to take it to the next stage. All of this can be set in advance and it will play out as defined when the checklist is run. Check out Process Street for your recurring processes! So now you have the tools which help you do your tasks and the processes which help you control that flow. You still need to bring in some kind of task management and database system to be able to easily find things. Both of these functions can be found within the comprehensive product from Airtable. It can be a little daunting at the beginning when you’re first getting to grips with Airtable, but once you get over the initial learning curve you will find that it provides an incredibly useful centralized location for monitoring, storing, and planning your activity. At Process Street, we use Airtable in slightly different ways across our departments. Within the marketing department, we use Airtable for storing all of our content and the data related to it. So, for example, when this post is published it will have its own record in the Airtable database. That record will also contain the information about who wrote it, when it was published, what its keyword was, etc; all the metadata. Over time, that record will have more information added to it, including things like how many shares it has had on different platforms and its performance on Google. This kind of system means it’s super easy to find anything and everything we’ve ever made; our blog posts, our public templates, our images and graphics, articles we’ve written on other sites, third-party articles written about us, videos we have made, and so much more. One handy database where it is all stored with all the relevant details about the pieces of content. We also use Airtable to manage our tasks. You see, you can create certain filtered views. These views might only show the cards (records) for tasks, and maybe only tasks which are due this month, and maybe only tasks which are due this month assigned to me, etc. You get the picture. We can then apply a Kanban card display (like Trello uses) to make those task cards drag-and-drop. I could then move a card from Upcoming into Started or Doing or some other column label to show my progress. Really, Airtable is whatever you want it to be. It’s definitely worth checking out! You can see a deeper breakdown of how we use Airtable in my article on our content creation workflow. Every functional business needs to not just get the work done, but have their finances in order. With modern accounting software, you can organize all your accounting from one handy place. Quickbooks is a brilliant tool for managing your accounting and provides a wide range of functionality. A cheaper alternative might be Wave, but the features are slightly limited in comparison. With Quickbooks you can track expenses, sort out invoices, and a whole load more. There are also lots of different ways of inputting data. You can type data in if you want to or upload larger amounts of data as files to ease your transition. Once you’re started with the software though, it gets even easier. You can connect Quickbooks with your bank account to automatically log what goes in and out. Or you can even take photos of receipts and Quickbooks will auto-register the information. Smarter still is the reporting. Quickbook’s depth of data means it can pull your reports for you in an instant and give you a solid and granular break down of your business performance. Add to all this, that you can use the in-built signature tools to either sign documents digitally or collect signatures on the go via the app on a touch screen phone. Even in those tricky scenarios, you’re still able to remain paperless and powerful! Now, I feel like I’m letting you in on a little secret with this one. You don’t see many articles recommending Phabricator. The other tools in the list do plenty of marketing and have loads of evangelists. But Phabricator flies under the radar. This is a tool for your software team. It’s pretty much an all-in-one tool to manage your software development. Phabricator is a set of tools for developing software. It includes applications for code review, repository hosting, bug tracking, project management, and more. Phabricator is powerful, fast, scalable, and completely open source. You can download and install it on your own hardware for free, or launch a hosted instance with us. It is open sourced. So if you’re going to self-host it then you can have it for free. Free. Even if you pay for them to host it, it only comes in at $20 a month per user – so it’s not going to break the bank. I know what you’re thinking, you’re asking me whether I’m joking – an all in one solution for free? I know. But Phabricator wasn’t developed for making a bunch of money. Phabricator was developed as an internal tool at Facebook to help them manage their development. It’s a good tool and I recommend checking it out. Plus, their website is full of jokes so that’s a plus too. Now, you’ve probably heard a lot of talk about the rise in automation recently. There are a lot of big claims about automation. Some people are suggesting that it might change the way we think about work and lead to a future of greatly reduced labor. Others are suggesting that this future is already here and that you can automate huge portions of your business to begin a post-work stage of human development for your own life right now. Some of these claims may hold water, some may not. What we do know is that you’re not going to reap any of the advantages of automation if you’re running a paper office. Many of the tools in this article contain their own internal automations, but one tool which can supercharge the other is Zapier. Zapier does this by connecting the tools together. So when you do something in one app it triggers an action in another app. Maybe I run a checklist in Process Street and enter information into it? I could use Zapier to create an automation where once I finish completing the checklist, all the information is pumped into a Google Sheet or an Airtable record. There is a whole world of automation possibilities with Zapier. If you haven’t used it before, I recommend browsing the site, at least, and looking at all the different options available to you! It’s one thing to do work and focus on your own task, it’s another thing entirely to work well as a team or enjoy the work environment you’re in. This is where a tool like Slack comes into play. Slack is like a big message board for your team; an instant messenger with channels for different topics. Using Slack enables your team to communicate immediately and bounce ideas around or make decisions. It works great on computers but is fantastic on mobile too, allowing teams to chip in and keep going even if they’re away from their desk. Slack also has calling functionalities built in, so you can quickly host a team meeting in a channel to get a decision made. Importantly, though, Slack can actually make work fun. Our Slack at Process Street is a sea of gifs, emojis, and funny happenings. The work gets done, but the relaxed environment in Slack helps people bond and builds a bit of a workplace culture. You can pay for Slack, if you like. Or, you can start with the extensive free plan and see whether it works in your office environment. The free plan covers loads of stuff with all the basic functionality. It’s the world’s most popular team chat app for a reason! Go paperless! If you can’t change the world, change your office! So there’s your list of paperless office tools. We’ve covered most niches and most aspects of operations, but there are probably plenty of other tools which you could add to this list! There are loads of other niches which could maybe make the cut, depending on your company. Let me know in the comments what your ideal paperless office stack would be! What would you recommend everyone try? cloud storage is a very cool invention. Slack is also very pleasant to use. Thanks for the excellent article! Do you recommend Buffer over Agorapulse for social media management?